Transfer to Almese, for a visit to a well-known farm producing the Baratuciat, a vine that gives a white wine, autochthonous from Val di Susa and recently rediscovered. 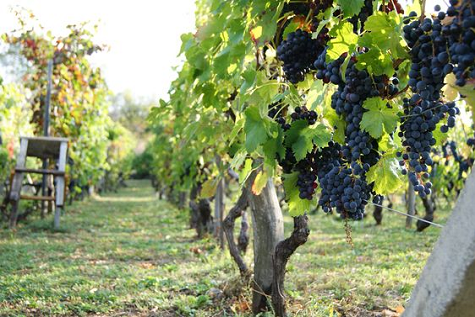 The culture of the baratuciat vine is limited to few municipalities of the Susa valley, and it is rarely cultivated. The farm, respecting the same philosophy of the heroic agriculture, started as well a special and rare production of olive oil, being among the few mountain olive oil craft makers of Italy. 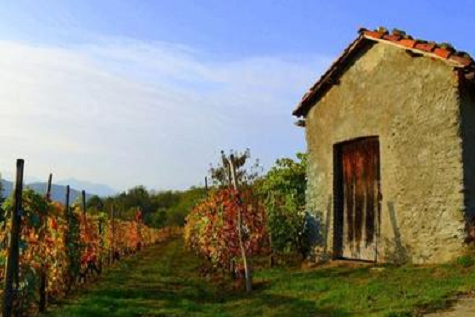 Transfer to Giaglione , another small center of the Susa valley, to visit a courageous farm that take care of the cultivation of the reckless, heroic and almost extinct vines of Chiomonte: the vineyards cling to terraces along the slopes of the Alps. Lunch at the farm, a tasting menu, including the mountain wines. Transfer to the Sacra di San Michele and visit of the abbey. The monumental abbey is the symbol of the Piedmont region and inspired the writer Umberto Eco for the best-seller Il nome della Rosa. 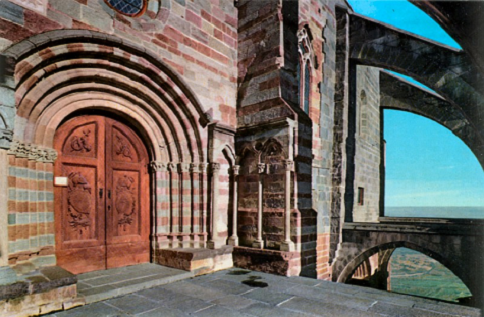 Founded between 983 and 987 on the rocky spur of Mount Pirchiriano, it is at the midpoint of a pilgrimage route of over two thousand kilometers that connects a significant part of Western Europe from Mont Saint-Michel to Monte Sant’Angelo. From the top of the mountain and walking along its towers you can enjoy a great view of the Piedmont capital and a breathtaking panorama of Alps and Susa Valley. Inside the Sacra, in the main church, dating back to the XII century, are buried some of the Savoy real family members. Transfer to the close town of Trana for the dinner at a Slow Food recommended trattoria, the tasting menu includes local Susa valley wines.